Cafe El Gato first opened its doors on April 2, 2009. It is playfully named after its owner. Gato is Spanish for cat. It was initially intended to be a Mexican restaurant and thus the Spanish name. However due to the nature of rancho Palos Verdes' location and clientele, it soon became clear that an international menu was more appropriate. 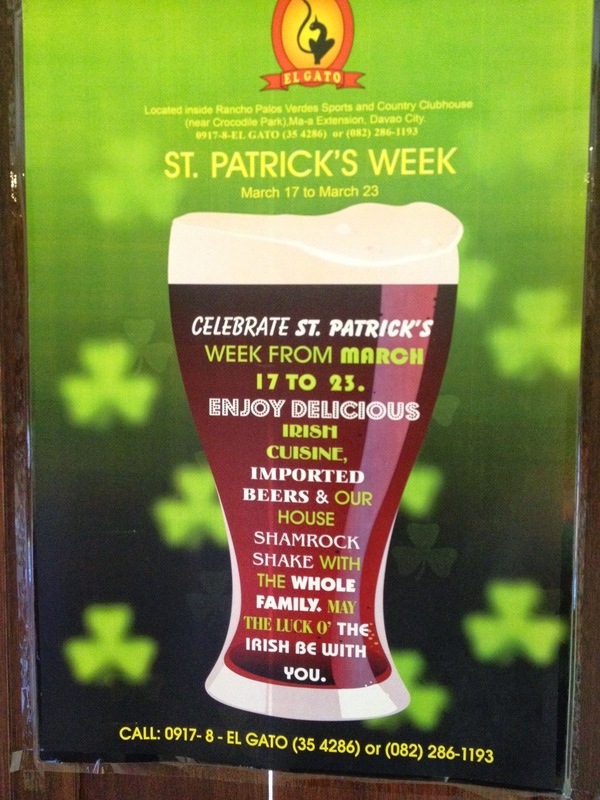 St. Patrick's Day is a well known and widely celebrated Irish holiday in countries with Large Irish population like United States, Canada, Argentina, Australia, New Zealand, Britain and Ireland. It is celebrated with huge parades, a throng of participants in green clothing symbolizing the Emerald Isle and the Shamrock. 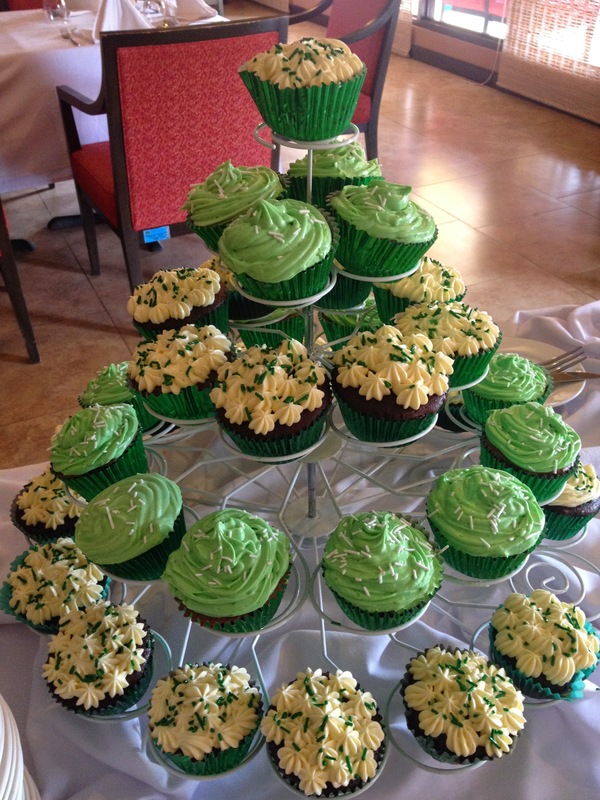 Last March 17, they've invited friends from the media and bloggers to feast on their St. Patrick's Day Luncheon. 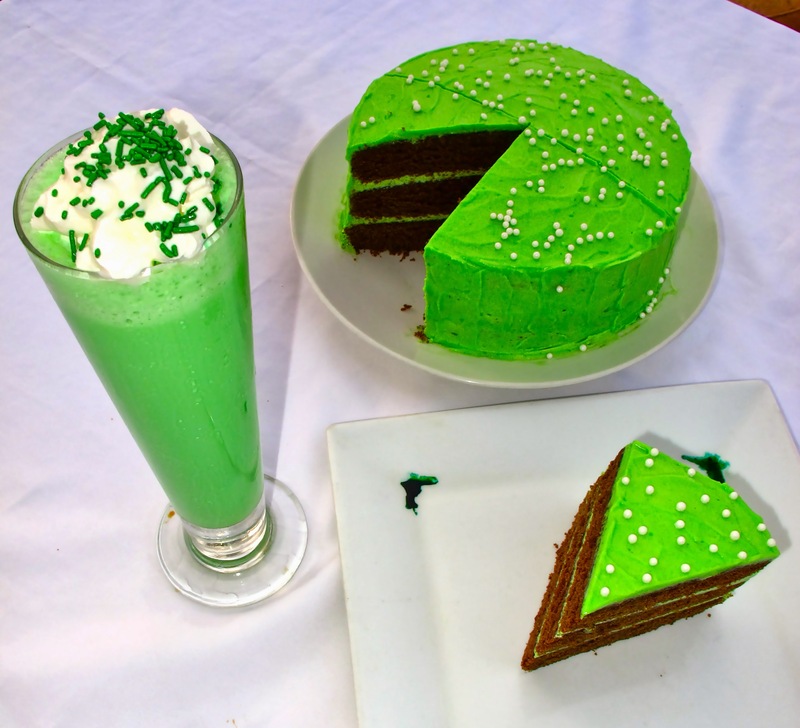 Cafe El Gato Restaurant and Events Venue presented the following dishes: Shepherd's Pie, Colcannon Mashed Potatoes, Glazed Pork Loin with Spicy Ale Slaw, Corned Beef and Cabbage with Root Veggies, Irish Open Faced Grilled Cheese Sandwich, Irish Beef Stew, Shamrock Shake, Shamrock Velvet Cake, Guiness Cupcake and St. Patrick's Cupcake. Cafe El Gato truly made our tummies happy with the St. Patrick's Luncheon they prepared for us. They are planning to do this 'events' every month like on May they will have Mother's Day Luncheon and on June is Father's Day Luncheon. We would like to thank our gracious host Ms. Kath Dizon Marfori for the worderful time and great food and also to Ms. Marissa for the invite.